With over 30 miles of trail and 10 miles of bikeable beach, Kiawah Island is a cyclist’s dream. Whether you want to lazily meander to an ice cream shop or get the day’s workout in while soaking in the sites, our guide to two-wheeling Kiawah will get you where you want to go. 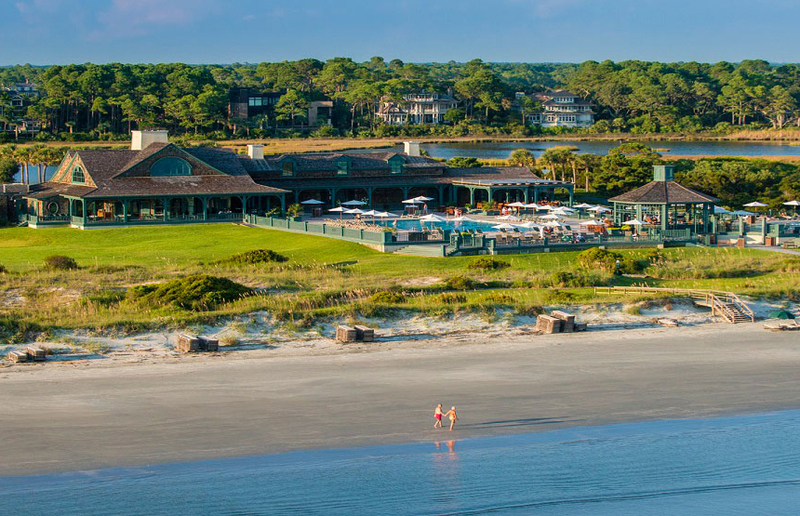 The Sanctuary Hotel is one of Kiawah’s gems. This majestic property sits right above the beach, and boasts several restaurants and bars. 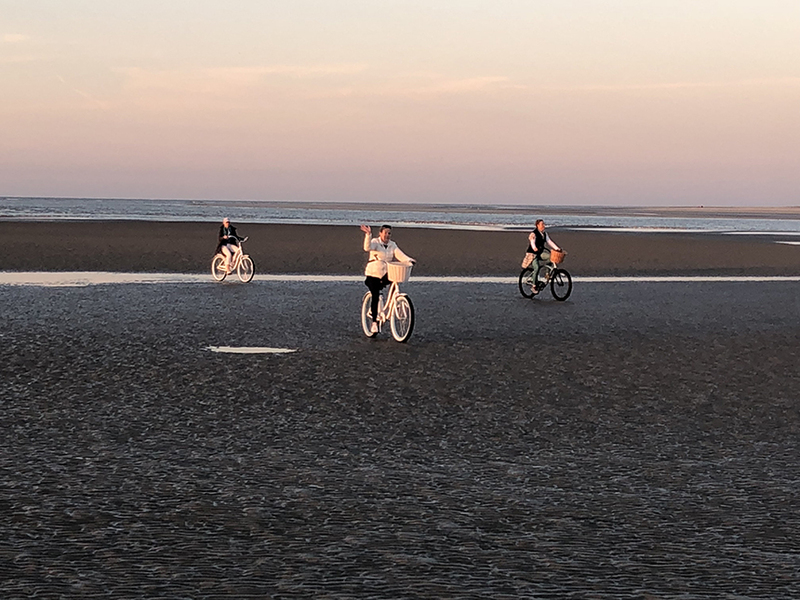 The restaurants at the Sanctuary are a bit high brow, so it’s probably best to let us shuttle you there if you’re planning on dining at The Ocean Room or Jasmine Porch; however, if you are biking, especially with the family, stopping into Beaches and Cream is a must. With artisanal ice cream scooped into freshly baked waffle cones, you can’t go wrong. Freshfields Village is more than a bike ride destination; this quaint open air shopping mall hosts enough activity to fill your whole day. 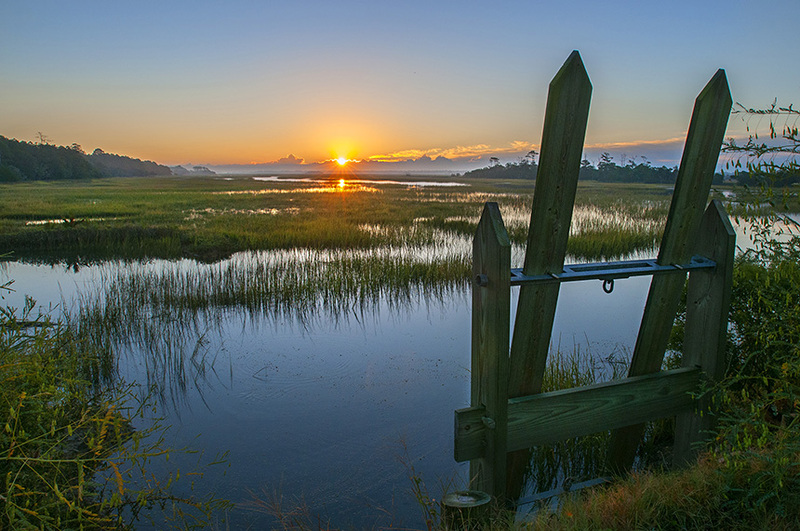 You’ll head inland through the marshes of Kiawah to reach the village. Our recommendation: bring a backpack, as you’ll want to peruse the wares of the local shops. The ride isn’t a long one, so if you want to indulge at one of the many restaurants, don’t worry, you’ll be back home to Timbers Kiawah in no time. Interested in a long afternoon ride? Set your sights on the Ocean Course Clubhouse. You’ll careen through Kiawah Island, hitting many of the other destinations on this list as you make your way to the clubhouse, so if you want to break up your bike ride, you can easily stop and relax. Once you arrive, consider a drink and snack at the Ryder bar, with amazing ocean views. On the way home, you can loop back to Timbers Kiawah by biking the beach, where you’ll catch a glorious sunset as light dances on the waves. Kiawah’s full service marina is just a short bike ride from Freshfields Village, and is worth checking out even if you plan to stay on land. The marina is an eclectic mix of seafood restaurants and kitschy shops, perfect for an afternoon with the kids. The Vanderhorst Plantation is one of Kiawah’s most desirable and historic neighborhoods. Explore dreamy homes with the traditional southern architecture of the Lowcountry, and eventually end up at Rhett’s bluff and the famous bass pond. If you’re cruising with kids, then Night Heron Park is a perfect spot for your family to spend the day. 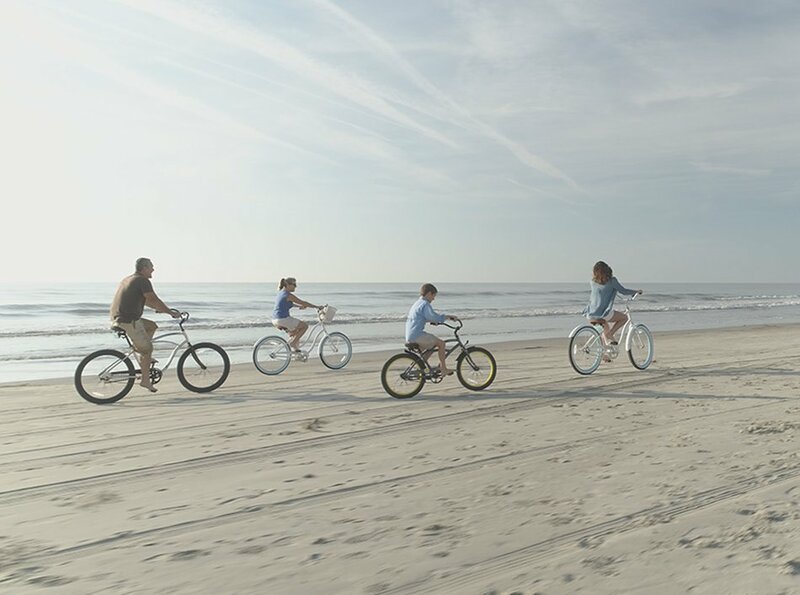 Access the park via the bike path next to Kiawah Island Parkway for a day full of fun. The park boasts an olympic sized swimming pool, a playground, and plenty of sports fields. Nature lovers will enjoy the birding opportunities. Night Heron Park is also centrally located on Kiawah Island so it makes a great place to stop, relax, and grab a bite from the cafe before exploring further. Looking for a quick trip? Take the trail to Mingo Point along the Kiawah River. This is a perfect ride if you’ve got some little ones who get tuckered out easily, and it ends at a beautiful picnic spot. Occasionally there is an oyster cookout at Mingo Point; ask your concierge if he or she is aware of any, and bike over for a true lowcountry cookout. For a longer ride, take the trail to Cherrywood BBQ and Ale House, located at the Osprey Point Golf Course Clubhouse . Not only is this a great way to see most of Kiawah Island, there’s also a delicious meal waiting for you at the end of your trip! Our recommendation is bike to the BBQ for lunch and then meander slowly back to Timbers Kiawah, stopping at some of our other suggested destinations along the way. On Kiawah Island, the beach itself is another favorite bike path! If you’re looking for a more secluded ride with possible dolphin viewing, head west down the beach from Timbers Kiawah and you’ll end up at Captain Sam’s Inlet. If you’re lucky you’ll see dolphins feeding here, it’s a prime location given the that river feeds into the ocean at this spot. It’s particularly beautiful at sunset. Of course, there are several other bike trails on Kiawah, these are simply a few that we love.